What is a Respirator Mask? This entry was posted on September 29, 2015 by Texas Safety Supply. There are several Levels of breathing protection that may be needed in the Workplace, the term Respirator Mask Typically refers to a Particulate Respirator. The Following are the Tiered Levels of Breathing Protection. Particulate Respirators are then split out within this level of breathing protection into nine different levels designed to filter out types of contaminants. There are three Series of Particulate Respirators ( ( N, R and P ), then within each Series of Respirators ( N, R & P ) there are Three percentages of efficiency in Breathing protection provided (95%, 99%, and 99.97% ). N95 Masks Filter out 95% of the particulates, N99 filter 99% and N100 Filter out 99.97% of particulates. 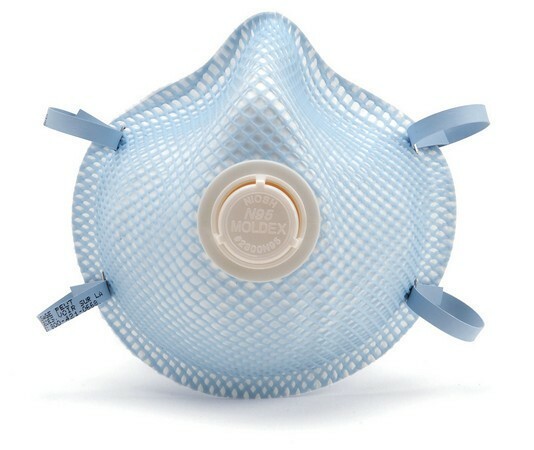 N-Series masks are to be used when their are no oils present in the Breathing hazard. R Series are used when there are Oils Present in the breathing hazard and P-Series the highest level of particulate respirators are used when their is oil and Oil mist hazards present in the breathing hazard. The determination of the Correct Level of Protection that your workplace requires Must be determined by Industry Experts and Industrial Hygienists that can properly identify the appropriate hazards and protection that is required in your workplace. Purchasing the Correct Particulate Respirator Mask is an important decision. If employees are required to wear for extended periods then their is a consideration of comfort that has to be made, or the realization and planning that personnel may need additional rest periods and attain less productivity in assigned Job Tasks. No short cuts allowed on the Level of protection that Must be provided by Law is acceptable. People with Breathing or asthma related problems may not be suited for tasks that require respirator mask protection and these are some of the issues that have to be investigated when you need to be compliant with OSHA and provide the appropriate level of protection. Ignorance of the guidelines or just plain Ignoring the guidelines; neither excuse will be acceptable to OSHA for non compliance to Respiratory Protection requirements. Training in proper use of a Respirator is very important. Respirators should not be used until Instruction and Training is completed in the Proper use of the particulate Respirator for each affected employee. Three Excellent Choices to select from in the N-Series Respirator Masks are manufactured by Moldex when needing to Purchase Particulate Respirators. Referred to as the "Dirt Dawg" N95 Mask. The N95 indicates that this respirator is to be used for hazard environments where Oils are Not present and the Moldex 1200N95 respirator will Filter out 95% of the particulates. Inexpensive at $15.99 for 20 N95 Respirator masks. 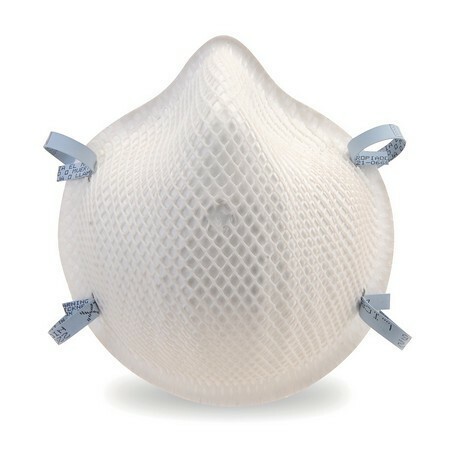 This mask holds it shape Longer and will Stay Cleaner Looking Longer periods as compared to other N95 Respirator Masks. a 100% PVC Free mask that is contoured very nicely to fit the users face and be easy to wear for Long periods. Great choice as a latex Free respirator and latex free straps. A unique Dura Mesh shell that helps this respirator to hold up longer, less replacement costs help to reduce costs. A good choice for many work situations. The Moldex 2200 N95 Respirator Meets the CDC's guidelines for protection against TB. Again, being an N95 Respirator it filters 95% of Non Oil based particulates. The Moldex 2300 N95 Respirator Mask is the favorite of so many Safety Professionals and it is easy to see why. It's comfortable and the Moldex 2300 lasts and last even in the toughest of conditions. The Moldex 2300 can be used for welding, grinding, sanding, cement work and general clean up. The Exhalation valve allows for easy breathing and use of the Respirator.